Harvard University Press, 9780674218857, 199pp. 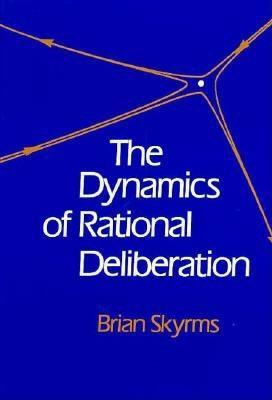 Brian Skyrms constructs a theory of "dynamic deliberation" and uses it to investigate rational decisionmaking in cases of strategic interaction. This illuminating book will be of great interest to all those in many disciplines who use decision theory and game theory to study human behavior and thought. Skyrms begins by discussing the Bayesian theory of individual rational decision and the classical theory of games, which at first glance seem antithetical in the criteria used for determining action. In his effort to show how methods for dealing with information feedback can be productively combined, the author skillfully leads us through the mazes of equilibrium selection, the Nash equilibria for normal and extensive forms, structural stability, causal decision theory, dynamic probability, the revision of beliefs, and, finally, good habits for decision. The author provides many clarifying illustrations and a handy appendix called "Deliberational Dynamics on Your Personal Computer." His powerful model has important implications for understanding the rational origins of convention and the social contract, the logic of nuclear deterrence, the theory of good habits, and the varied strategies of political and economic behavior.